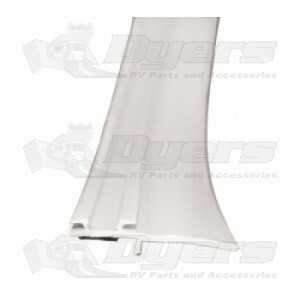 Premium EKD base for use with EK D seal on slide-out rooms. Advanced EK series is the ultimate slide out seal system. Can be used for new installations or when upgrading worn out rubber seals. The EK base come with wiper and is designed with a straight edge for easy alignment with adhesive backing. Fasteners may be used to install the base as well.